The New York Times continues to do a lot of interesting and often excellent reporting on China. This post isn’t about that. 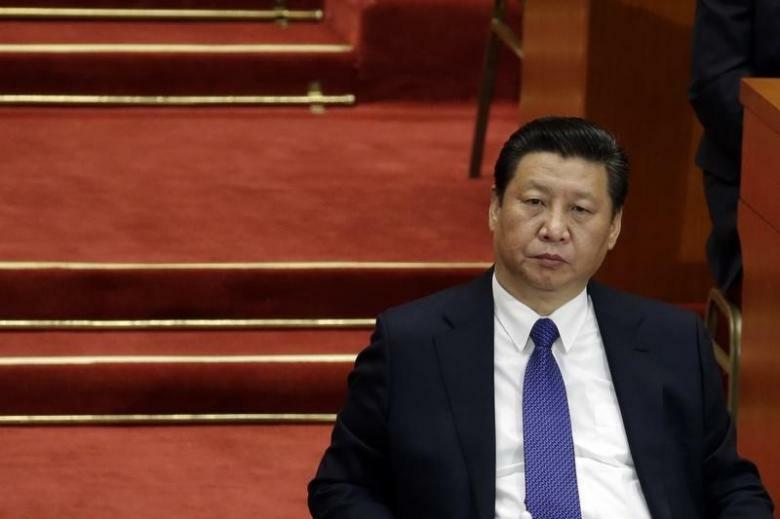 It’s about the tendency of observers to ascribe to China’s leader Xi Jinping things he’s never said or indicated an abiding commitment to doing. 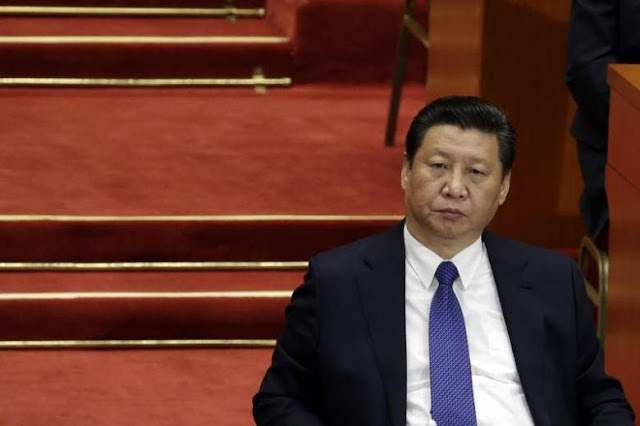 …as Mr. Xi nears the end of his first five-year term as Communist Party leader, his record has not lived up to the bold statements, critics say. The question now is whether he was ever really serious about taking the painful steps needed to repair the economy, or merely paying lip service to reform to justify his tightening grip on power. The piece has some good reporting, in that it casts the interview wider than the usual suspect Western experts (though they get their shout, of course) and asks Chinese analysts their thoughts on where Beijing has failed in restructuring the economy here. There’s disappointment and perhaps even a little despair evident in the responses (as well as a bit of smugness from some of the Observers Abroad) when it comes to progress made in economic and financial reforms. But what’s troubling is the presumption that it’s Xi who’s breaking promises. First, Xi doesn’t make promises. That’s the job of the collective leadership in China. It’s inaccurate and actually unfair to characterize the lack of progress as somehow Xi’s fault. Xi’s makes policy pronouncements and lays out goals, but one would be hard-pressed to point to a speech where Xi lays out any sort of economic vision. It’s also unclear how Xi can be cast as so strong on the one hand and so weak (or at least weak-willed) on the other. Is his failure one of will or capability? The article poses the question—which is a sign that the issue isn’t about promises in any event but should really be about the political environment that Xi is in, and is trying to reshape, for better or worse. If Xi doesn't do something, it's because Xi the strongman is either suddenly weak or deceptive? Really? Moreover, when Xi makes “promises” about reforms, those overwhelmingly have been about changing China’s Communist party. Xi’s been drifting in and out of economic policymaking in the past few years and he’s made references to the importance of “strengthening and improving the Party’s leadership over economic matters [加强和改善党对经济工作的领导].” That's pretty much it. When there have been actual reforms proposed to China’s economic planning and procedures—which is where everyone here knows the real changes are needed—it’s been Premier Li Keqiang who’s been the key comrade. If anyone should be held individually accountable for the dearth of progress towards a more open economy in China, it’s Li. Even more important is the mistaken assumption that when China’s leaders talk about economic reform, they mean market access, financial deregulation, lower trade barriers and the sorts of features that many think Beijing needs to be focusing on. They don't mean such things; that's outside analysts and commentators talking about what they think China ought to do. Xi talks about reform as a far more expansive undertaking, in which economics is only a part (and not a large one). Li, for his part, wants to eliminate bureaucratic obstacles and transform the ways in which decisions and made and applied in China. Xi wants more control, Li’s arguing for more speed. Neither is convinced that a Western economic model works for China anymore than they believe a political one will. Assuming that they do is a terrible error. Xi’s not suddenly going to come around to being the leader that some observers want him to be—a desire that’s gotten all the fiercer with the dismay accompanying Donald Trump as US president. Xi hasn’t guaranteed anything more than to make China great his own way, and he thinks reforming the Communist party he leads is the main job at hand. At the end of the day, economic transformation might turn out to be the only way left forward for him, but let’s wait until Xi says exactly that before anyone accuses him of making promises he never made to start with. Wait a minute. We know the style in Beijing is not to name things specifically. With the South China Sea terms are used like "relevant countries" ... never naming the Philippines. We all know it's the Philippines. And we know parties without direct interest refers to the USA. Because Beijing uses that convention, does this mean they can never be held accountable? Xi will never be accountable for anything? That is ridiculous. It is fine that Beijing maintains a style of expression that avoids a direct reference to countries, policies, etc. However, elected or not, they are the government and are responsible. And the idea that the buck stops at the number 2 man is also ridiculous. Xi is the leader, the buck stops with him. Regarding economic reforms, there were 8 listed about 5 years ago. These 8 reforms were from a Beijing think tank and endorsed by the government. Everyone accepted it would be difficult to implement. Some progress has been made, the question is has it been enough. Xi cannot wiggle out of this just because his speaking style uses obscure references instead of direct promises. and I am sorry for not mentioning that I love your blog, because I do ... thank you, it always a wonderful read. Thanks very much for your comments, and for the kind words about the blog. Your point about Xi is well-taken. My problem is the notion that it is Xi who alone or even mainly makes economic policy here, and that the failure to meet the expectations of many observers abroad means that Xi is to blame. Xi has made many attempts to dominate policymaking, but his emphasis hasn't been on economics but politics, particularly ideology. (That's Li Keqiang's focus, as it's been historically, though there have been tensions, and Li's been losing ground for some time.) When Xi does talk about economic issues, he has tended to be philosophical in his approach. Xi made no promises that he would reform China's economy in ways many Westerners see as necessary for the country's continued growth; that's not surprising because his version of reform isn't Wall Street's, for example. Any disappointment is due to a projection or misreading of what Xi is trying to do--and that can be found in what he says, which is reform the Communist Party first and foremost. If anything, Xi has turned Marxism on its head, arguing essentially that politics drive economics.